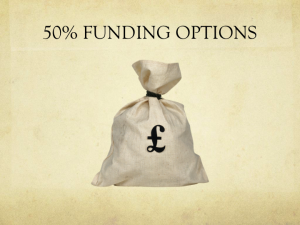 programme with a 50% funding contribution. Similarly, the Kirklees Working Smarter Voucher scheme has contributed up to £1000 for employees of suitable Kirklees based businesses to join and complete the programme. As these schemes will be ending in the near future, the final planned ’21st Century Leader’ programmes that will complete in the funding utilisation timeframe start February 2017 in Huddersfield and Barnsley. Don’t miss these final funding opportunities to undertake this nationally recognised programme, with graduate/masters level qualification options if required. The next topic in our series of CMI supported END Result free CPD sessions to be held on Friday December 2nd 2016 at The Media Centre, Huddersfield, will be that of the proposed revisions to ISO 9001. Technology, globalisation, risk awareness, complex supply chains and exponential information growth are a few examples of how the way we work has changed dramatically since the last major revision to ISO 9001 in 2000. Mike Brook of Brook Corporate Developments well known for his significant expertise and experience in Business Planning & Strategy, Lean, Leadership, Coaching & Mentoring and Change Management, will open the first session on ISO 9001, it’s importance and the recent changes. David Hodgson, MD at Automotive Electrical (Mirfield) Ltd and Chair of FSB Kirklees, will then discuss his recent experience of revisions and assessment to the latest standard. Other inputs, time permitting, will include the role the EFQM model can play along with how strategy and leadership skills in organisations can be developed through CMI recognised programmes. 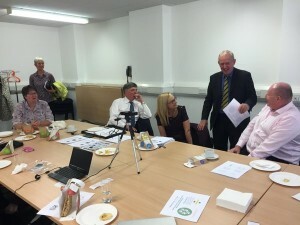 As ever we expect lively debate and discussion throughout and to continue the 100% endorsement of previous attendees that the facts and issues raised and discussed are of direct benefit to the organisations of those attending – which exactly supports our reasons for holding these events. Online booking through the CMI is at http://www.managers.org.uk/events-and-courses/2016/december/strategy-and-leadership. Non-members please use the Registration link to enter your details. EU Referendum – Facts, Fiction and Fantasy? Following directly on from our CMI supported END Result free CPD session on Decision Making – Rational or Irrational will be a totally non-political workshop session where we can try and unpick and understand the facts, fiction and fantasy surrounding the current EU referendum situation. Knowledgable guest presenters have been invited to explain some of the relevant facts, figures and fantasy with which we are regularly bombarded and so allow us to form our own opinions and hopefully help us make rational decisions or at best live comfortably with our irrational decision making! As has proved popular in the past we will of course be continuing our discussions afterwards at a local hostelry adjacent to the railway station. 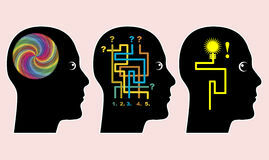 Decision making – rational or irrational? The next topic in our series of CMI supported END Result free CPD sessions to be held in Friday June 10th at The Media Centre, Huddersfield, will be that of Decision Making. Our guest speakers will include Steve Gorton, well known for his CMI, AMBA and Open University contributions with others to be confirmed shortly. The afternoon follow up session will then be EU REFERENDUM – FACTS, FICTION AND FANTASY, which builds nicely on the concepts discussed in this session. 2016 – Start of the Great Depression? 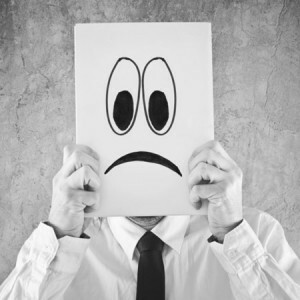 British managers have the gloomiest outlook for their organisations and the economy since 2012, according to the findings of Future Forecast 2015, CMI’s annual look-ahead survey. On Friday 4th March we held a CMI supported END Result free 3 hr CPD session to discuss and debate just what the future could hold and how best we can prepare for it, both good or bad. Our headline speaker for this event was David Scott of Andrews Gwynne – Leeds. David is recognisable for his media profile and has appeared on BBC Breakfast Business News, Bloomberg, CNBC and national and regional evening news bulletins as an industry commentator. 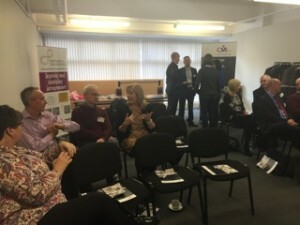 Despite the heavy snow, there were sixteen attendees to listen to David’s expert analysis of the current situation along with David Broadhead’s update on reports recently issued by the CMI, the FSB (Q4 2015) and the Mid-Yorks Chamber of Commerce. The general consensus after discussion, was that a severe financial correction is imminent without any real form of future financial safety-net being available, either nationally or globally. However, what will precipitate it and when are complete unknowns! In the meantime reducing personal and corporate debt whilst investing in gold might be wise precautions……. Sustainable innovation is critical to organisational survival and growth, but is the way we think a help or a hinderance to it’s successful delivery? On Friday 4th March we held a CMI supported END Result free CPD session to hear two guest speakers, Dave Mettam – International Consultant and Darren Evans – Design Director of The Engine Room, a leading strategic design and brand agency, enlighten us on Viable Systems and Design Thinking. As ever there was lively debate and discussion throughout from the seventeen attendees who had battled through the heavy snow and atrocious weather conditions to attend. Feedback indicated that there was a 100% endorsement of the fact that the issues raised and discussed would be of direct benefit to the organisations of those attending – which exactly supports our reasons for holding these events. Employers need to wake up to the opportunities of digital learning according to the latest research from the Chartered Management Institute. “Many employers need to rethink how they go about helping their managers learn new skills. Just dumping textbooks onto smartphones is a dumb way to upskill managers. Managers want personalised bite-size content, to share knowledge and learn from connected peer networks, to ask questions and get feedback in real time. Why? Because it’s now part of how we work and live” says CMI chief executive Ann Francke. 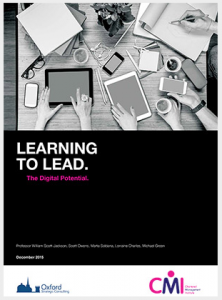 Digital learning has great potential but what are the issues we need to consider? 15 managers from across all sectors attended the first of the 2016 series of free CPD ‘END RESULT’ events hosted by ourselves at The Media Centre, Huddersfield on Wed 13th Jan. Following an overview of the need for and the skills required by 21st century leaders, David Broadhead went on to present the key findings from the report with both presentations leading to much informed debate and discussion. This was followed by working demonstrations of CMI’s Management Direct by Jim Craig and the collaborative learning platform Noddlepod by Ollie Gardener, again leading to an informative discussion session. Our next event is on Friday 4th March. As part of our commitment to improving the quality of leadership and management across our region, we are running quarterly FREE CPD workshop days here at the Media Centre, Huddersfield HD1 1RL, for those professionals interested in developing their knowledge and understanding in this area. (CPD certificates for 3 hours will be provided to those professionals requiring them). Diarize these dates, all Fridays – 4th March (am), 4th March (pm), 10th June, 9th September & 2nd December 2016 – the only catch is you buy your own coffee! The first video on our new YouTube channel introducing David Broadhead ( a little light-heartedly)! Organisations today potentially have five generations of employees working within them. Do both your leadership style and HR policies inspire them all, or switch four fifths of them off? This is a thinking and discussion session arranged for organisational leaders and HR practitioners who want to understand how they can lead and sustain high performance through an engaged, multi-generational workforce.